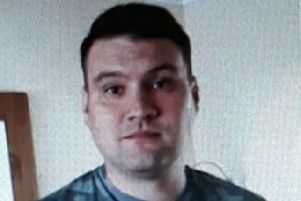 Derbyshire police have renewed an appeal for help to find a missing man who disappeared three years ago this week. Tim Beardsley was last seen by his wife leaving his home in Old Tupton, Chesterfield, on July 9, 2012. There have been no positive sightings of him since and neither his family nor friends have heard from him. Mr Beardsley, 47, was driving a green Ford Focus estate, which was found abandoned near Ullswater in the Lake District on July 14, 2012. He is white, 5ft 10ins, with short, brown hair and blue eyes. Several public appeals have been made to trace Mr Beardsley and a Facebook group has also been set up. PC Richard Hill, who is leading the investigation, said: “Since Mr Beardsley’s disappearance, we have had several possible sightings in both the UK and abroad. “Although all have been followed up unfortunately none have led to a positive trace of Mr Beardsley. Police are appealing for Mr Beardsley or anyone who has information on his whereabouts to contact officers on 101. You can also contact the charity Missing People on 116 000.